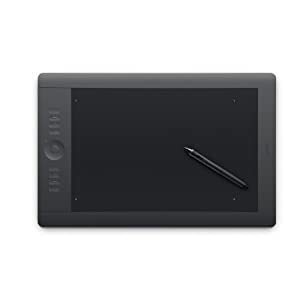 The Intuos 5 is Wacom's next generation professional pen tablet. It's super thin, ultra responsive, and its express view display lets the Intuos 5 easily integrate with your computer. The new multi-touch functionality allows you to rotate, zoom, or position you work at any time. The device also has a touch ring navigation similar to that of an iPod that controls scrolling and brush size. It connects to your Mac or PC via USB, but a wireless package (sold separately) is available. 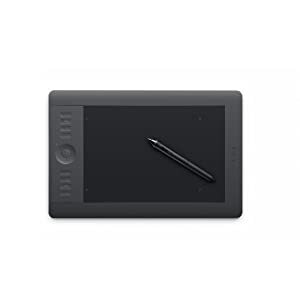 The tablet and pen tool can capture 2048 different levels of pressure which is an unprecedented amount that can provide you with superior details. 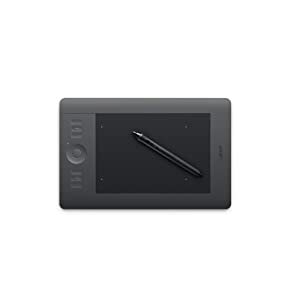 The Intuos 5 comes in small, medium, and large.